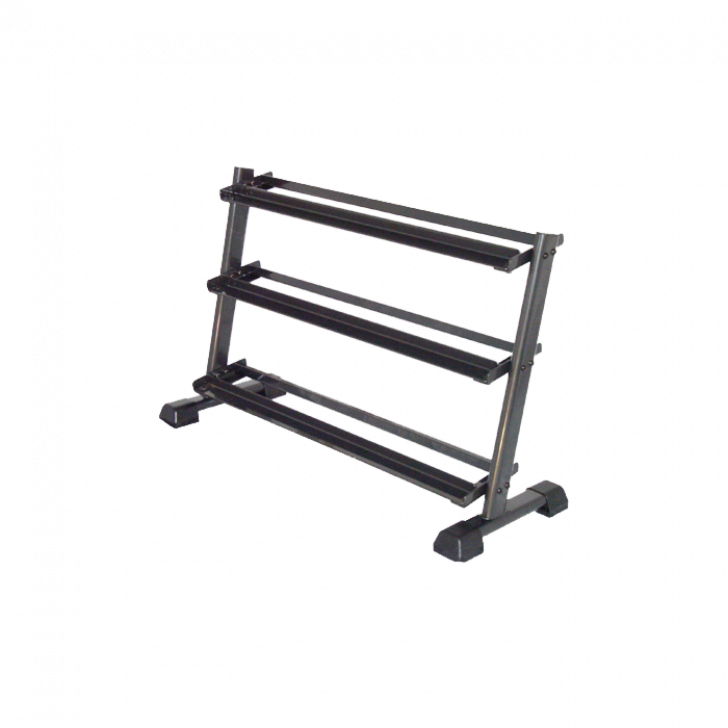 Inspire Fitness 3-Tier Dumbbell Rack is a heavy duty 2" x 4" oval 11 gauge tubular steel. Organize your workout area with the professionally designed 3-Tier Dumbbell Rack by Inspire Fitness. Dimensions	 OVERVIEW The Inspire Fitness 3-Tier Dumbbell Rack is a heavy duty 2" x 4" oval 11 gauge tubular steel. Organize your workout area with the professionally designed 3-Tier Dumbbell Rack by Inspire Fitness. Features	 FEATURES Frame: Heavy-duty 2'x4' oval 11 gauge tubular steel. Powder Coated Finish: The Electrostatic Powder Coat offers a durable, maintenance free finish. Easy to Use - Quickly organize your dumbbells. RESIDENTIAL WARRANTY Inspire Fitness Home Gyms have an all inclusive Limited Lifetime Warranty.